Butterfly themed rug designed by Gisela Graham design house. 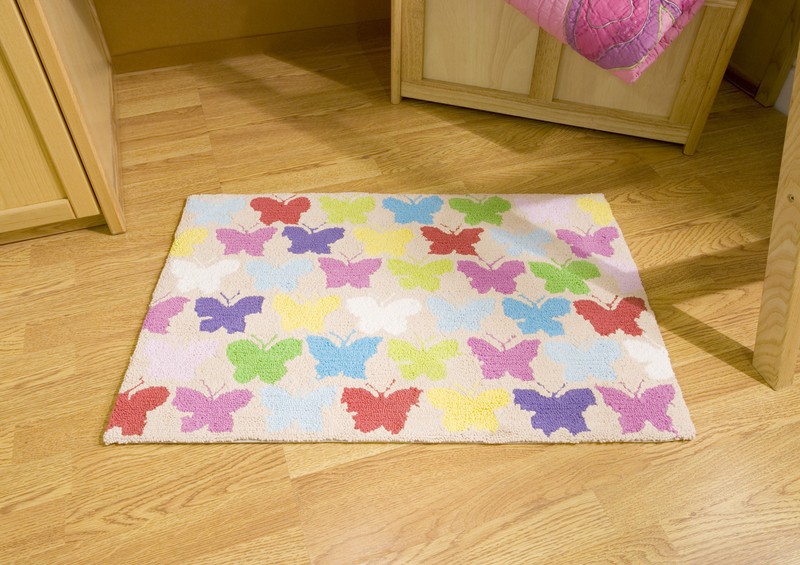 The natural coloured rug has multi-coloured butterflies on the top in pink, red, green, yellow, blue and white. Made from 100% cotton this butterfly rug can be washed at 30 degrees.